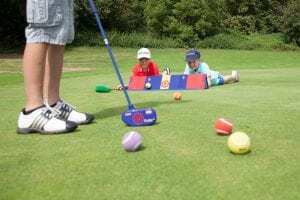 SNAG® Golf (‘Starting New At Golf’) is the best first touch program to effectively teach the game of golf to people of all ages and ability levels. SNAG® Golf offers the versatility to learn and play in almost any environment you choose. Over the past 10 years, SNAG® Golf has built a premier learning system recognized by industry leaders around the world as the superior method to teach golf fundamentals in a fun and easy way. SNAG® Golf provides cutting edge learning techniques never before seen in the world of golf. Terry Anton, President & CEO Terry immersed himself in golf from an early age. He had a successful junior career which culminated in him qualifying for two PGA Tour events as a high school junior and senior in 1973 and 1974. He graduated from the University of Florida with a degree in Economics and was twice selected for All-SEC honors as a member of the men’s golf team. While in college he was part of the founding group that formed the American Junior Golf Association. 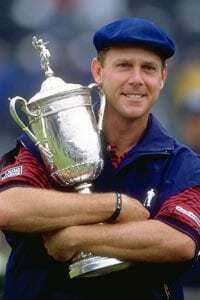 Terry played on several international tours before playing on the U.S. PGA Tour in 1981 and 1982. He then focused his career on golf operations and course design. He served as the EVP of Hale Irwin Golf Services and as President of TBM Golf Management. Terry and another former PGA Tour player, Wally Armstrong, developed SNAG® Golf (‘Starting New At Golf’) equipment and programming over a six-year period. SNAG® focuses on simple, structured instruction for all new learners and a modified form of golf that allows play in non-traditional venues. The goal of SNAG® is to eliminate geographic and demographic barriers that traditional golf presents. Over the past 10 years Terry has traveled extensively to bring player development programming to schools and golf courses all over the world to grow the game of golf. SNAG® is currently used in more than 8,000 schools worldwide. Terry, along with highly respected educators, developed SNAG®’s flagship golf development program, called “G-Ball”, which will teach golf to children at park and recreation facilities across the United States.